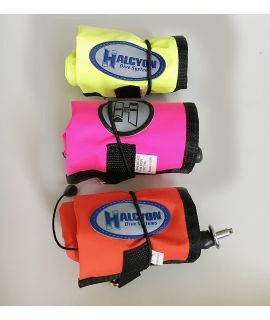 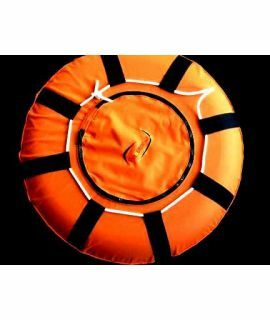 Halcyon full signal buoy with stainless steel inflator connection for inflating with the inflator hose or even with the mouth inflatable is 140cm long and 20cm wide and has approximately 18l buoyancy. 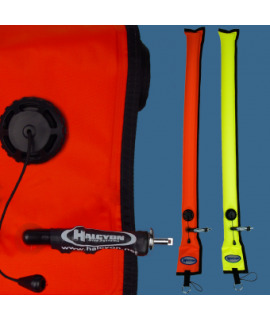 The buoy has, of course, an overpressure valve and on the head it has a highly reflective solas strip and a chamber for a glow stick. 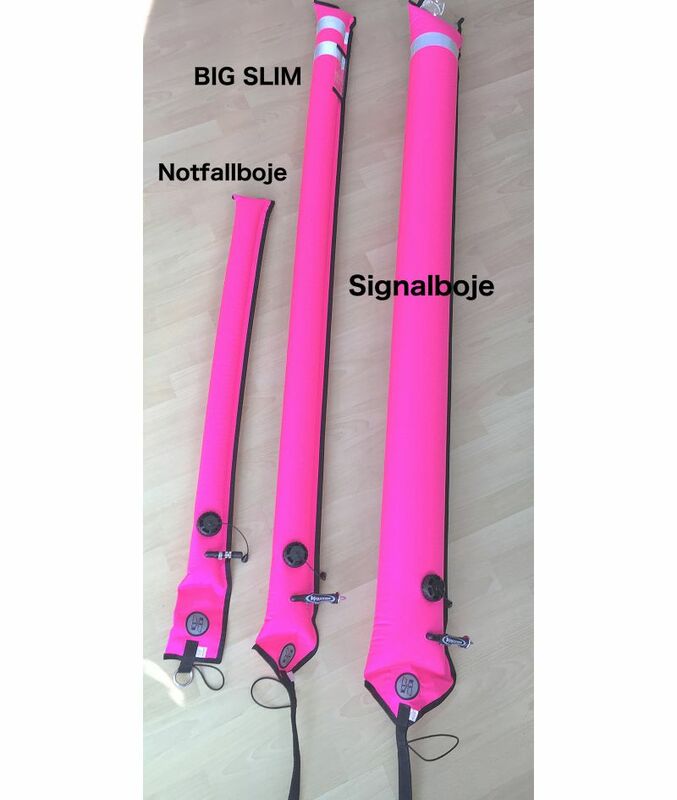 The pack size is still in the frame and can easily be stored in the pocket of the drysuit.